For most of us moving to another country will be an unforgettable experience, and there will be a lot of questions one want answers to. This web site will try to answer a number of these questions, and we welcome comments and observations both from people planning to move to Spain, and from people already here. Spain is a member of the EU and the old monetary unit PESETAS is history. The change from the peseta to the Euro is only one of many major changes in recent years. 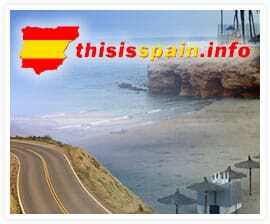 During this period Spain has also become a much more modern and technologically-advanced country. One of the main reasons for moving to Spain for many people is the favourable climate; another is that the cost of living is considerably lower than in some other European countries. With flights to all the main European cities you are just a few hours away from you “home” country, so visiting friends and relatives is relatively easy and not too expensive. In addition, Spanish is considered a relatively easy language to learn and all of us at ThisIsSpain are keen to assist you to learn Spanish. Of course – when you live in Spain you will probably find that you friends would rather visit you! Mark Wilkins is a man whose opinions I value and whose articles are always thought-provoking. This was written in January 2008 and, even many years on, he raises many valid points, I believe. Please note that the information provided in this article is of a general interest nature and intended as a basic outline only. It is not intended as any substitute for detailed legal or other professional advice specific to the reader’s circumstances. Nothing contained in this article should be seen or taken as the writer or publisher providing legal or financial advice. Firstly, a New Year’s resolution – repeat after me ‘I must not state the patently obvious’. Oops, here I go breaking that one – hope the one that involves a daily exercise regime and a detox last longer! The property market in Spain has changed. .
Is that totally correct or would it be right to say that the purchasers looking to buy in Spain have changed? Almost certainly. Long gone are the days of the post Euro ‘off plan’ purchase boom when buyers – they were called ‘investors’ by many agents – were tempted into taking multiple options to purchases assured by the snake oil sales folk that they could flip to massive profits before completion. The numbers may be less but the quality of the buyer is definitely up. It’s excellent to see an educated and informed public who roughly know where they want to buy and largely what they are looking for. They are internet savvy, ask loads of relevant questions and have clearly done their homework. These purchasers take time to seek the RIGHT property, in the RIGHT location and – most importantly at the RIGHT price. There is no way that they are now going to be lured by a smart line in sales patter from a teenager in an ill-fitting suit. At TRG, we have always advised that a rental for three to six months is essential before you buy. Until you have had the experience of day to day life in Spain, after the first blush of the love affair may have waned a little, you’ll not know whether you are happy to commit to the reality as opposed to the dream. In our experience, it also gives the potential buyer time to really look around. To find favourite locations, golf courses, restaurants, clubs, friends etc. Why this demand? Amid the tales of woe about the Spanish property market why are they still looking at Spain! Open any publication over the last year or so and see the wailing and beating of chests about the Spanish market. Don’t they know! Hasn’t anyone told them! Do they need their heads examined!! The answer is they have voted with their feet – as have many before- in search of a new and different direction in life. When you visit and experience Spain for yourself you’ll want to contact Unigroup International relocation services to schedule your belongings to be moved. The demand is simply there because nowhere else in Europe delivers better weather, better year round sports, better medical and communications infrastructure – all in all Spain delivers A BETTER QUALITY OF LIFE. .
Don’t take my word for it. In research conducted by UKForex nearly eight out of 10 Expats are happier living abroad than they were living in the UK. Of those who spend time out of the UK and choose Spain as their home they appear to be the happiest of all, with more than 90 per cent saying they are happy with their lives here. The survey showed that most people – around a third – moved to seek a better quality of life and according to the research it seems that many have found it in Spain. .
Moving away from the UK, for many is not something that they would undertake lightly. Losing day to day contact with friends and family at a later stage in life can be a strain. We have noticed – and our colleagues at the “proper” estate agencies have also reported that – many new clients are seeking to combine life in the UK – or other home country – and spend perhaps six months of the year in Spain. October to March seem to be the preferred months in Spain for a variety of reasons primarily related to the weather. No, it’s not just that the Sun is the constant lure for those struggling to heat an ageing and now partially unused family home in one of those spots around the UK or other parts of Northern Europe that have seen substantial growth in value over the last ten plus years. In the days of under performing equities, the “credit crunch” and fears of recession stemming from the continued “sub prime” fallout from the US, there is actually some sound retirement planning at play. A non-existent or materially diminished mortgage that can be easily paid off on sale opens a Pandora’s Box of wonders for those whose children have left home to make their way in the world. That four bed roomed house which was an essential when they were growing up may have become a millstone. The recent rises in the Council Tax bill, above inflation rate rises in utility bills and generally the costs burden of maintaining a too large property has prompted many to look at alternatives. It’s now usual for them to see the kids for Sunday lunch when they load up on a Roast and collect their now clean washing deposited the week before. MSN News in late November 2007 ran a story that Morrissey, the former lead singer of the seminal Manchester band “The Smiths”, had sparked controversy by claiming that the British identity had disappeared because the country has been “flooded” by immigration. One comment in the report, allegedly attributed to the singer, rang with particular resonance to those comments we hear on a daily basis, whilst acknowledging that immigration had enriched the British identity it was suggested that “you have to say goodbye to the Britain you once knew”. Sunday Telegraph – 06.01.08 – one of the Church of England’s most senior bishops – Rt. Rev Michael Nazir-Ali – the CofE’s only Asian Bishop – warned that Islamic extremists had created “no-go” areas across Britain where it is too dangerous for non-Muslims to enter. These comments drew understandable concern from several quarters. The Muslim Council of Britain described the Bishop’s comments as “frantic scaremongering”, William Hague, the former Tory leader and now shadow foreign secretary, expressed concern that the Bishop had “probably put it too strongly” and Nick Clegg, the new Liberal Democrat leader, commented that the idea of no-go areas was “a gross caricature of reality”. Let me be very clear, I and many like me, who have chosen to make their homes in Spain, are immigrants. We are foreigners in a host country. Whilst we may all be citizens of the EU with the freedoms that that provides, I know that my Spanish neighbours do prefer it if we speak to them in their own tongue – an effort that has its own rewards. But even if our language skills are basic there is a genuine sense of inclusiveness in Spain that embraces cultural differences. We have adapted and evolved into being quasi Spanish. Our Spanish friends also celebrate Christmas on the 25th December but have now adopted many influences from the recent immigrants – pine trees, lights and Father Christmas. However, they will continue with their Three Kings tradition on the 6th of January and the amazing spectacle of Semana Santa – equivalent to Easter’s Holy Week – which seems to be a much more important festival than Christmas – and our hosts will happily welcome our part in their celebrations. The breadth of choice of property is very wide indeed. Ranging from the new apartment in a completed urbanisation with gardens that are maturing and the teething troubles of a new property rectified to a resale project near the beach or in the mountains that needs some work to help it achieve its full potential. What has become clear is that detailed local product knowledge – on the ground experience of the market, what’s available and is it worth the asking price – has become a major resource to potential purchasers. Qualified access to great value and well priced property is at a premium. I run a “seek to complete” serious buyer’s agency called “TRG/TierraFirma”. We take on a handful of new clients each month that can see the value in retaining an advisor who can cut though the rubbish. We find the RIGHT property and negotiate with the owner or sales agent to achieve the RIGHT price. We do the leg work which avoids our clients wasting TIME and MONEY on abortive trips to visit unsuitable property. And…. what’s more it’s a “buyers market” with certain sellers falling to “cheeky bids'” to move on. Please do note take from this comment – as seems prevalent in the UK and Irish press – if you are looking at a property in Spain with a purchase price of € 750,000 that you are bound to secure it for € 500,000 because that – in our experience – just does not happen. However, in our core market on the Western Costa del Sol surrounding Marbella – both on the coast and inland – I don’t know a serious seller who when faced with a serious buyer hasn’t the mind to look at 10% to 15% reduction off their expected sales price.